Experimentation has played a major role in scientific advancement. Replication is one of the essentials of the experimental methods. In replications, experiments are repeated aiming to check their results. Successful replication increases the validity and reliability of the outcomes observed in an experiment. 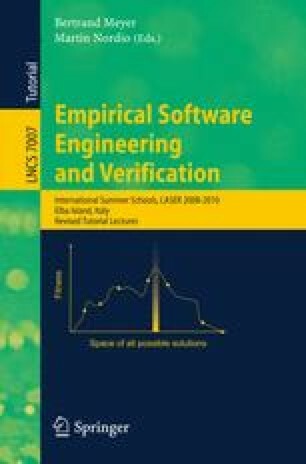 There is debate about the best way of running replications of Software Engineering (SE) experiments. Some of the questions that have cropped up in this debate are, “Should replicators reuse the baseline experiment materials? Which is the adequate sort of communication among experimenters and replicators if any? What elements of the experimental structure can be changed and still be considered a replication instead of a new experiment?”. A deeper understanding of the concept of replication should help to clarify these issues as well as increase and improve replications in SE experimental practices. In this chapter, we study the concept of replication in order to gain insight. The chapter starts with an introduction to the importance of replication and the state of replication in ESE. Then we discuss replication from both the statistical and scientific viewpoint. Based on a review of the diverse types of replication used in other scientific disciplines, we identify the different types of replication that are feasible to be run in our discipline. Finally, we present the different purposes that replication can serve in Experimental Software Engineering (ESE).